New: Kent Green Hop brewery open days! 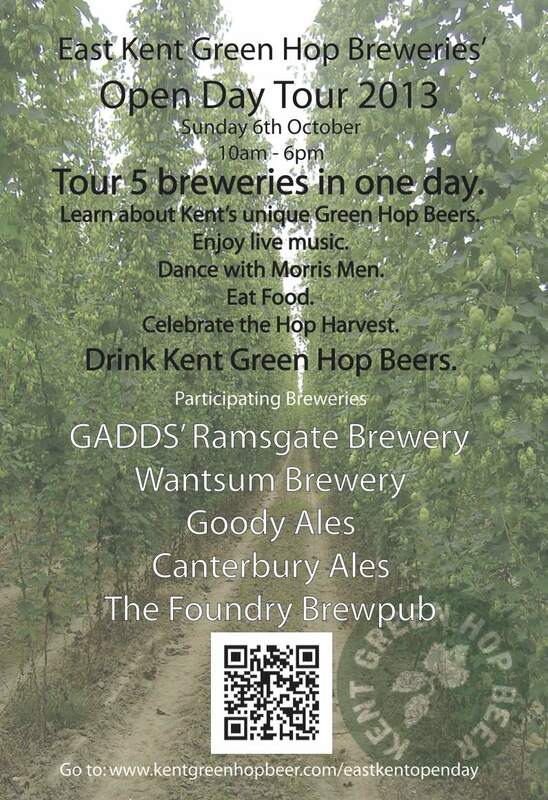 New to Kent Green Hop Beer Fortnight for 2013 are our east Kent brewery open days. Five breweries have arranged to open their doors to the public during the middle weekend of the Fortnight for tours, music, food & Kent Green Hop beers. Visit as many or as few as you like; stay for an hour or all day; come alone or with friends. This is your chance to share Kent Green Hop Beer with the people who make it. Breweries will be open on Sunday 6th October from 10am until 6pm and entry is free. ← Kent Green Hop Beer Fortnight continues in the county’s pubs!